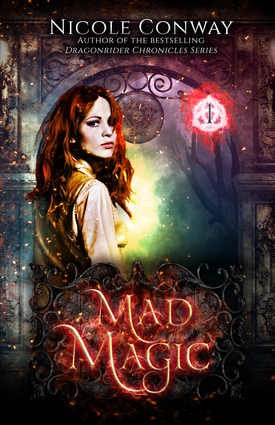 Mad Magic is a beautifully dark and rich Young Adult fantasy from Nicole Conway, bestselling author of the Dragonrider Chronicles.Josie Barton is a high school student living in terror. Invisible creatures torment her everywhere she goes, constantly getting her into trouble at school, and even haunting her apartment. But just when Josie thinks things couldn't get any worse . . . she meets the guy from across the hall.Zeph Clemmont is a changeling with enemies in all the worst places, fighting to undo a curse that threatens to end his life. Survival means he will have to swallow his pride and trust Josie with all his darkest secrets.With the help of a gun-slinging shaman and the enigmatic Prince of Nightmares, Zeph and Josie are only a heartbeat away from defeating one of the most diabolical faerie villains their world has ever known.